Join us for our 3rd Annual Bike Ride Fundraiser. Visit the Historic Noble House in Fayetteville and see the winner of the 2018 best geothermal installation in New York State. This scenic route will travel along Song Lake and visit a home in Tully with geothermal and solar installations. 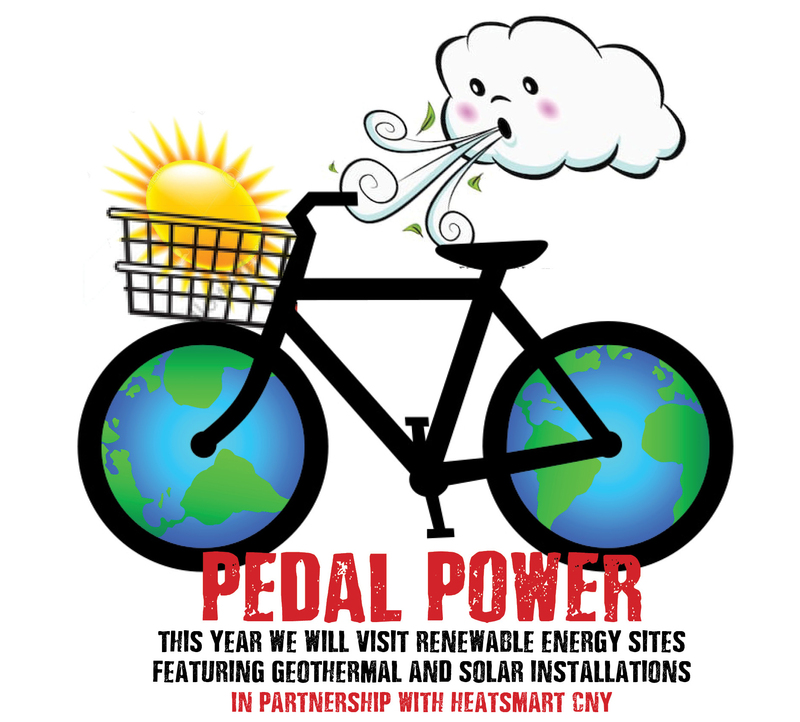 A short presentation will be made at each site by HeatSmart CNY Then return to the gallery for lunch and craft beer! Sign and bring it with you to the ride. 4. (Optional – but we would really love it!) Riders – ask your friends, family and coworkers to sponsor your ride in support of ArtRage. You can use Pledge Form to keep track of your sponsors. Can’t ride with us this year? Want to sponsor a rider?